When starting a new business, there are a huge number of books out that you can read to help you in your new venture. These books can give you ideas of what worked for others, how to think about your venture, process you can follow, and action items that you can adopt to ensure the success of your business. However, some books are less helpful than others, even misleading, and others simply are just a waste of time (and money!). Note though that there is not a single book that will contain everything and anything you need to start a business. You can start by getting a general overview of entrepreneurship and then find detailed information about specific aspects that you need to know in your business. 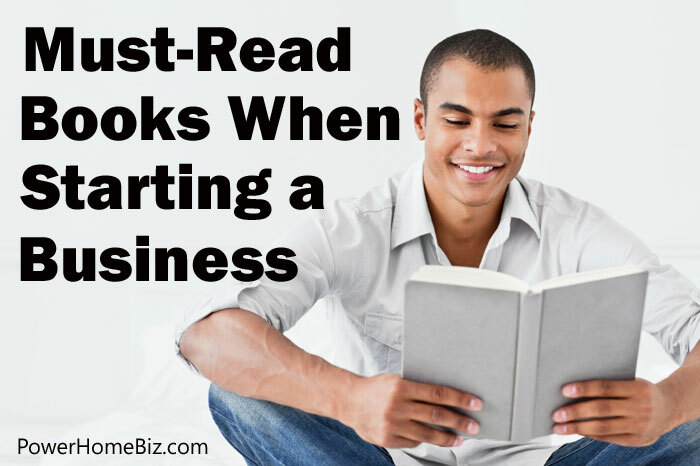 Here is a list of must-read books that we have found useful when starting a business. The The Lean Startup is not a “how to start a business” type of book. Instead, it offers a different approach to entrepreneurship, one that focuses on getting a small product out, getting feedback and fine tuning the product based on feedback; instead of delivering a perfect product. The The Lean Startup is a good book to help you set your vision and how you will accomplish your goals. However, the book tends to focus more on high-tech startups, instead of ordinary small businesses. For the author’s methodology to work for other types of businesses, some fine tuning may be required. If you are looking for a single book that can give you a general overview of the steps you need to start and succeed with your small business, check out The Small Business Bible by Steven Strauss. It covers a wide variety of topics, from choosing the right business, setting up shop, accounting and taxes, growing your business to dealing with people. The book is currently on its third edition (latest version is 2012), and the latest version includes wider discussion of online marketing strategies social media, mobile marketing, video marketing and Groupon. The downside, of course, of this type of book is that it does not go deep into any single topic. For example, it only has a 2 paragraph discussion of patents, and has a very short chapter on how to raise money for the business. If you want details on any aspect of starting a business, do a deep-dive by finding specific books on the topic you are interested in. If you are planning to start a business where you may seek venture capital financing, Guy Kawasaki’s The Art of the Start is a good first book to read. It teaches you how to make a successful pitch, how to run a board, how to recruit evangelists, the art of partnering, among others. The chapter on business planning focuses not on the mechanics of crafting a business plan, but how to present it in such a way you can win investors. The book is not a hand-holding guide for home-based businesses and small business. It will not tell you about the different business structures or the right steps to follow to launch the business. Its section on raising capital for a business only deals with venture capitalists and angel investors, with no mention of common small business start up sources of funds such as credit cards and family/friends. Part of the Nolo series, the book is a valuable resource for a small business entrepreneur trying to figure out the right legal structure for the business. It also provides a good overview of the legal concerns that a small business might face, such as structuring partnership agreements, licenses and permits, negotiating leases, legal requirements for dealing with customers, among others. However, the topics are not covered in-depth and book points to other Nolo products that offer deeper discussion of the issues, or the forms that may be needed. Also, the topics are covered at the general level, without due consideration that laws and legal requirements may vary from state to state. If you are an inventor with a product you want to market, check out the book Idea to Invention by Patricia Nolan-Brown. She created the rear-facing car seat mirror, and the book is based on the steps she took in successfully bringing her ideas to market. The book breaks down the things an inventor needs to do in simple-to-understand steps. It starts by helping you prep yourself up for the challenges you will face as an inventor – e.g. how you should conduct yourself when presenting your ideas, how to decide to whom you should disclose your ideas, and how to remain tenacious with your goals. It is an excellent guidebook to help you navigate through the important steps needed by a successful inventor. The book falls short if you are thinking of tapping overseas suppliers and manufacturers. It only gives a general overview of the topic and some of the challenges you will face when finding overseas suppliers. The author espouses the made-in-America approach to manufacturing your product, as this was the approach she used for her own products. It also does not dig deep into the process of licensing and patenting inventions. If you have other books that you found invaluable and extremely helpful when you started a business, please let us know! When you are looking for what books to read when starting a small business, start with these books. You can start by getting a general overview of entrepreneurship and then find detailed information about specific aspects that you need to know in your business.